Question of the Month: What are the key terms to know when discussing biodiesel fuel, vehicles, and infrastructure? Answer: It is important to know how to “talk the talk” when it comes to biodiesel and the associated vehicles and infrastructure. Becoming familiar with the terms below will help you better understand the fuel so you can ask the right questions and make informed decisions. Biodiesel is a domestically produced renewable fuel that can be manufactured from vegetable oils, animal fats, or recycled restaurant grease. 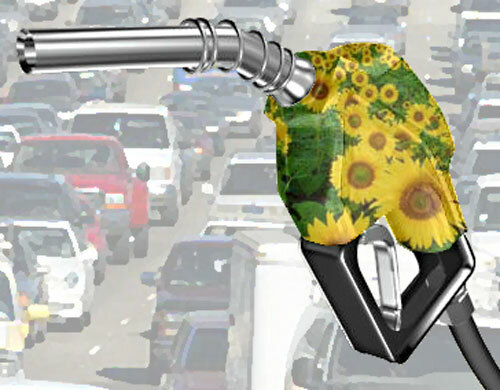 Biodiesel is considered an advanced biofuel under the Renewable Fuel Standard (http://www.afdc.energy.gov/laws/RFS) and is the only such fuel that is commercially available nationwide. B20 is the most common biodiesel blend in the United States because it offers a good balance of cost, emissions reductions, cold-weather performance, materials compatibility, and ability to act as a solvent. While B20 is not considered an alternative fuel under EPAct 1992, covered fleets (fleets subject to EPAct and related regulations) may earn EPAct credits for the use of blends of B20 or above. B5 is another common blend that can be used in most diesel passenger vehicles and trucks without violating the vehicle warranty. Biodiesel and conventional diesel vehicles are one in the same. Biodiesel blends can be used in most compression-ignition diesel vehicles without any engine modifications. However, operators should check their warranty to best understand what blend is optimized for their vehicle. The National Biodiesel Board maintains a list of automakers and engine manufacturers’ positions on biodiesel blends in their vehicles, specifically the biodiesel blends supported and encouraged by vehicle manufacturers (http://www.biodiesel.org/using-biodiesel/oem-information/oem-statement-summary-chart). Biodiesel is produced by converting oils and fats into chemicals called long-chain mono alkyl esters, also referred to as fatty acid methyl esters, through a process called transesterification. The feedstock reacts with a short-chain alcohol (e.g., methanol) in the presence of a catalyst (e.g., sodium hydroxide) to produce biodiesel and glycerin, a co-product. Raw oils, such as straight vegetable oil or waste vegetable oil, that have not been converted to biodiesel through this process should not be used in vehicles, as they can cause engine damage and void warranties. ASTM D6751: Specification for B100, found here: http://www.astm.org/Standards/D6751.htm. ASTM D7467: Specification for B6-B20, found here: http://www.astm.org/Standards/D7467.htm. ASTM D975: Specification for B0-B5, found here: http://www.astm.org/Standards/D975.htm. The National Biodiesel Accreditation Program, BQ9000 (http://www.bq-9000.org/), is a voluntary accreditation program for fuel producers and marketers that combines the ASTM standards with a quality systems program. A biodiesel station includes many of the same components as a diesel station, including the fuel storage tank(s), dispenser(s), and hanging hardware (e.g., hoses, nozzles). Prior to introducing biodiesel, station managers should thoroughly clean existing components. This is because of the “cleaning effect” of biodiesel, which can dissolve accumulated sediments, cause contamination, and plug filters. When building or converting existing infrastructure to handle biodiesel, it is important to check for compatibility with biodiesel or biodiesel blends. Underwriters Laboratories (UL) continues to test fueling equipment, including dispensers, aboveground storage tanks, underground storage tanks (USTs), piping, coatings, sumps, and heating equipment for use with biodiesel and biodiesel blends. UL-listed B20 equipment is available from Husky, OPW Fueling Components, Veyance Technologies, Franklin Fueling, and Gilabarco Veeder-Root—in fact, all new dispensers sold by Gilbarco Veeder-Root as of 2014 are UL listed for B20. Equipment vendors can also provide information about the compatibility of their products. In addition, the U.S. Environmental Protection Agency (EPA) published Guidance on Compatibility of UST Systems with Ethanol Blends Greater than 10 Percent and Biodiesel Blends Greater than 20 Percent (http://www.epa.gov/oust/compend/biofuels-compat-guidance.pdf), which outlines how UST owners and operators can demonstrate compliance with EPA requirements. Additional information on biodiesel fuel, vehicles, and infrastructure can be found on the Alternative Fuels Data Center Biodiesel page (http://www.afdc.energy.gov/fuels/biodiesel.html) and on the National Biodiesel Board website (http://www.biodiesel.org/).